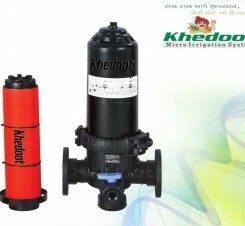 Disc Filter, Drip Irrigation System, Drip Lateral, Inline Dripper and Emitting Pipe Supplier & Distributor in Rajkot (Gujarat), India. 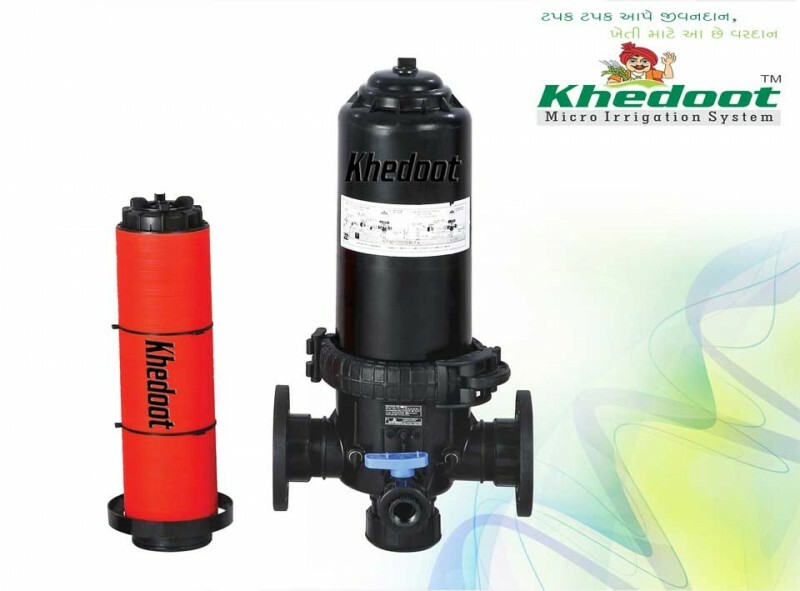 Main Application of Khedut Disc Filter is Fine filtration of irrigation water in Micro-irrigation systems (130 microns) for agriculture, horticulture, sericulture, vegetables, sugar cane etx. ad well ad for genetal industrial and domestic applications. Stacked disc structure provides three dimensional filtration. All plastic and metal parts are resistant to common agricultural chemical fertilizers and flushing agents used with the system. ** use battery of filters (filter bank) to achieve higher flow rates. We produce quality Disc Filters which are ideal for water filtration of landscape irrigation, home gardens and micro irrigation systems. Our products are delivered after a number of quality checks and assure reliability. They come in economical prices and are easy to use.